A fellow of the American Academy of Orthopedic Surgery, Dr. Pflum earned his undergraduate degree at Georgetown University, Washington, DC and his M.D. from the University of Medicine and Dentistry of New Jersey. 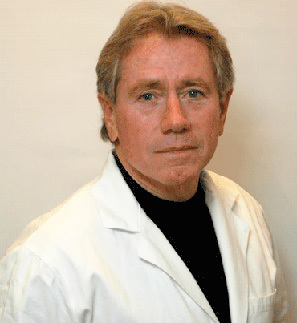 Dr. Pflum is an experienced orthopedic surgeon who has always done spine surgery as part of his practice. He has also performed thousands of arthroscopic procedures. Most spinal surgeons have relatively little experience with arthroscopy. This unusual combination makes Dr. Pflum uniquely qualified for this revolutionary breakthrough in spinal surgery. Dr. Pflum has now performed hundreds of cervical and hundreds of lumbar endoscopic procedures. He also continues to perform arthroscopic surgery of the shoulder and the knee. Dr. Pflum has a publication on Cervical Spine Arthroscopy in the May 2008 Journal of Arthroscopy and has recently given a paper on Cervical Spine Arthroscopy in France to the International Intradiscal Therapy Society. Francis A. Pflum, M.D., Ronald M. Selby, M.D., & Jerald P. Vizzone, D.O. Anterior cervical diskectomy has been accepted as a treatment for disk decompression for over 45 years. Twenty years ago, it was accepted that cervical diskectomy with or without a fusion resulted in similar patient satisfaction. It has been suggested that partial diskectomy with preservation of the anterior disk would be a beneficial procedure by which to accomplish decompression without instability. Historically, there have been many contributors to the development of this technique, which has been performed numerous times with consistent, reproducible results and no serious complications.